Ben Berry is getting ready for his fourth Grand Fundo. He's an avid supporter of the JAM Fund's challenging road ride through Western Massachusetts, and this year, he'll be riding with us again on July 22. "It's my favorite event of summer," he said. Berry will drive from his home in Ohio to the Pioneer Valley for the one-day bike ride and says the trip is totally worth it. "By riding the Fundo, I'm helping cover race entries, equipment and travel expenses and other needs of these budding athletes in a sport that, let's face it, isn't always the most financially rewarding," Berry said. 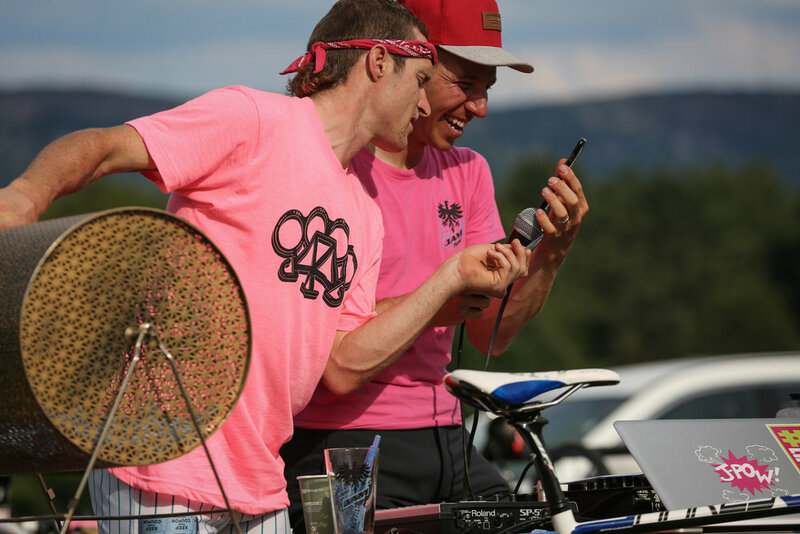 "All you have to do is look at the list of former JAM Fund cyclists, and you see them on podiums all over the county, like national champions Stephen Hyde and Ellen Noble, to name a few. These athletes all directly benefit from their time on the JAM Fund with the support and coaching offered and the life skills taught. " For the second year in a row, Berry is registered as a Fundo "fundraiser." He has already raised more than $250, and that means he'll get VIP treatment with a special invitation to the pre-Fundo gourmet dinner with four-time Cyclocross National Champion and JAM Fund Co-founder Jeremy Powers and friends. "It's a highlight of the trip," Berry said. "The food and wine are superb, and most importantly I get to spend some quality time with good people. It's a wonderful night." Lesli Cohen of Worcester, Massachusetts will be riding her fifth Grand Fundo this year. She and Berry rode the Mini course together last year. 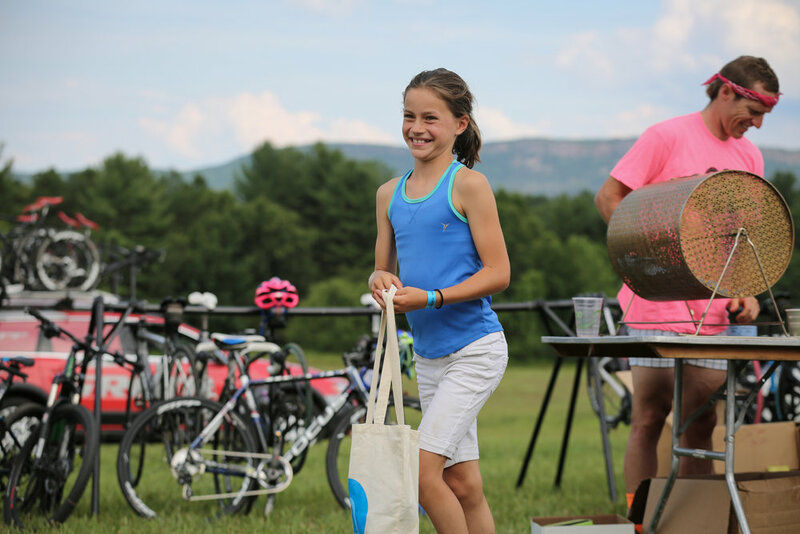 "Apart from riding, my favorite part of the Fundo is seeing all the returning familiar faces and making new friends," Cohen said. "It is a super fun time, and I always look forward to seeing and riding with Ben and hanging out with everyone from the JAM Fund." As a Fundo fundraiser, Lesli Cohen received extra raffle tickets at the 2015 Grand Fundo where she won an original t-shirt signed by JAM Fund Alum Anthony Clark (Squid Bikes). Photo by Meg McMahon. Like Berry, Cohen is also a Fundo fundraiser who receives special perks for raising funds for JAM Fund. "I love the intimate feel of the VIP dinner, and getting to spend time with all of the other dedicated Fundo supporters in the gorgeous winery setting," she said. You don't have to be a fundraiser to ride the Grand Fundo. But if you'd like to extend your support, you can do so with just one click. Mark the "fundraiser" box when you register for the Grand Fundo. Now your co-workers, family and friends can support your miles! If you raise more than $250, you will be invited to the private gourmet dinner with the JAM Fund and invited pros on Friday night before the big ride. You'll also get raffle tickets where you'll have the chance to win Jeremy Powers' bike and lots of other great prizes! The more you raise, the more perks you'll get as our show of thanks. See you on July 22! Above: Young girl wins a raffle prize, by Meg McMahon; Brad Huff and Jeremy Powers call the grand prize winner of the Focus Mares bike, by Meg McMahon; Jeremy Powers toasts supporters at the VIP dinner, by Vicky Sama. Header photo: Ben Berry thanks JAM Fund for a prize after Brad Huff and Jeremy Powers announce Berry as a raffle winner. July 2014. Photo by Meg McMahon. Newer Post8th Annual Grand Fundo is coming soon!